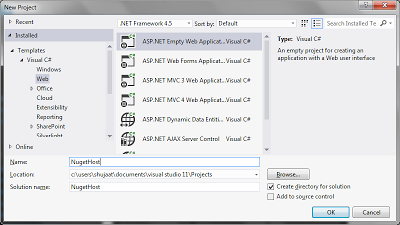 In this post we are going to see how we can create nuget feeds for intra-organization needs. 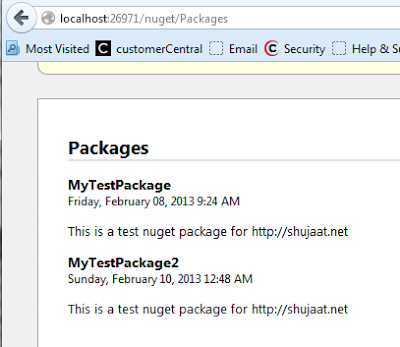 Since these packages are not intended to be shared outside the organization, we don't need to host them on nuget.org. 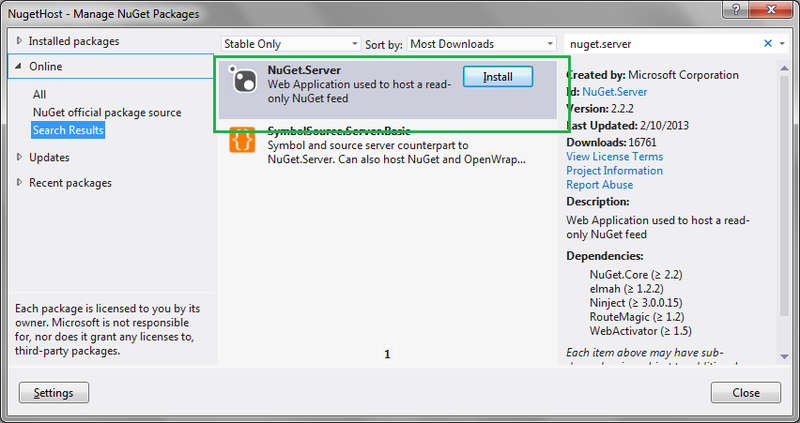 Nuget feeds can be directly created from file system folder or they can be hosted on a web server. 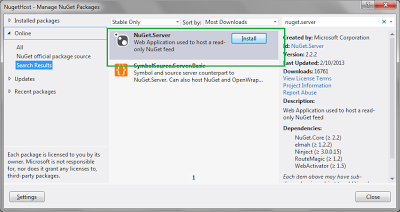 We can simply setup a Nuget repository on a server. We can simply create a folder which could be shared across the network. 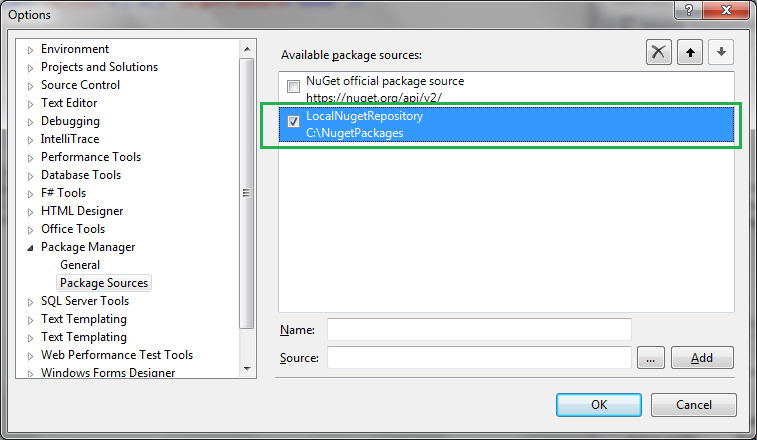 This is called Poor Man Nuget Repository. 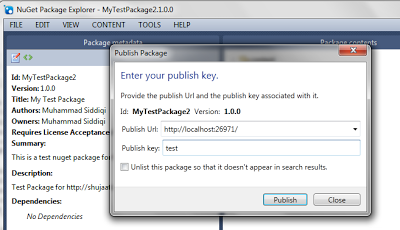 Let's use MyTestPackage.1.0.0.nupkg created earlier and copy that into the folder used as the repository. 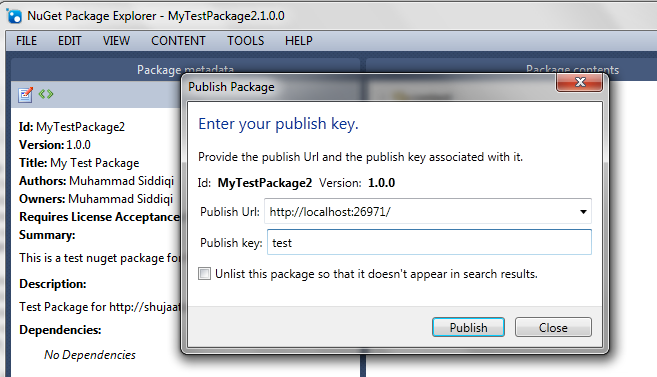 The configuration for the repository can be done in Tools -> Options. 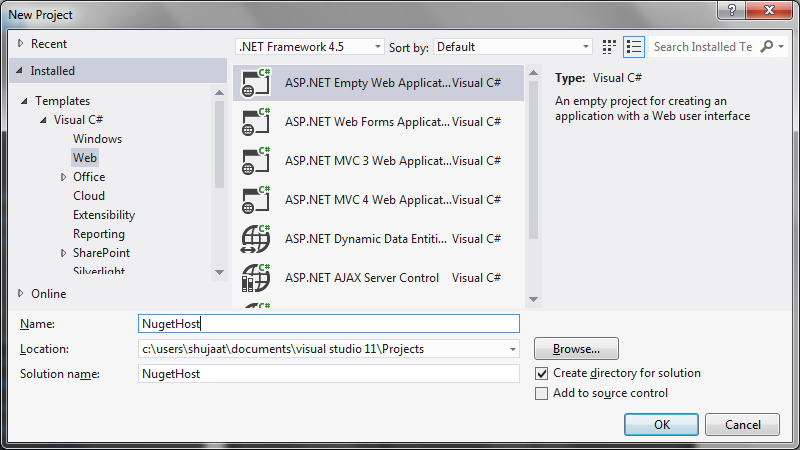 The developers need to provide this configuration in their Visual Studio 2012. After configuring the repository, they can use it to source their nuget packages. 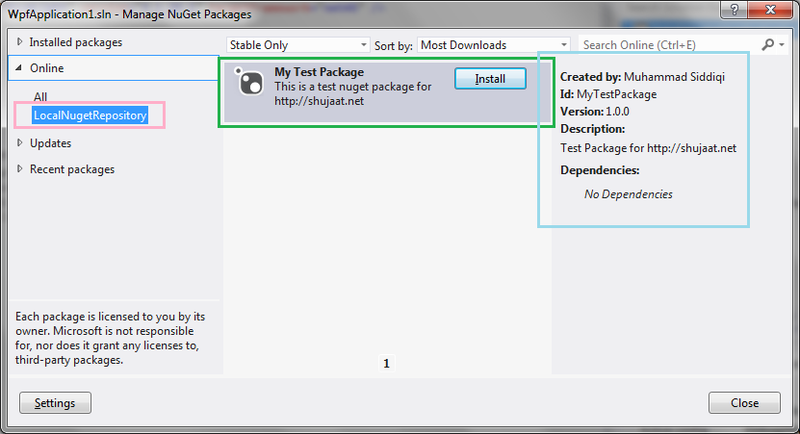 You should be able to see the repository in the Nuget Package Manager. Please also notice the metadata for the package. Look at the package dependencies for this package. 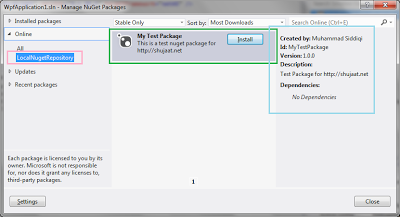 The application will source the packages from "Packages" folder in the solution. This is configurable. We can update the following app setting in web.config. 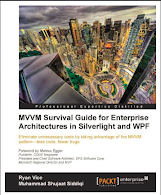 We can add this as a package source for client applications.